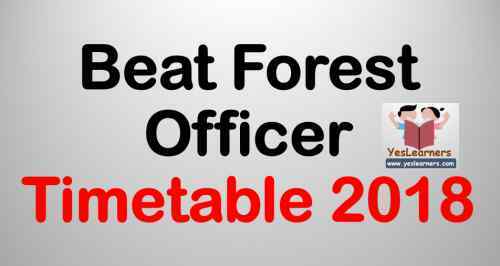 Click here for Beat Forest Officer Previous Question Papers. Click here for Beat Forest Officer Syllabus and Salary. The exam will be conducted on 7th April, 2018. It is a district wide exam. The exam will be held from 1 30pm to 3 15 pm. It will be an objective OMR exam.